FREE SHIPPING to the continental USA on orders $99 or more! Nap time just got easier with Allyson Brooke Home' Minky Toddler Blankets! Your toddler will practically ASK to take a nap with these super soft blankets! Made of super soft Cuddle® Minky double sided fabric with Allyson Brooke Home trademarked NoTuck® design that keeps the blanket ON THE BED! Available in 6 great colors to mix-n-match with our awesome toddler sheets. Sized just right for Toddlers and Toddler Beds! These are approx 38 inches wide and 58 inches long. They will give you a perfect amount to turn back at the top of the bed. Perfect if you take the rail off your crib for you toddler. 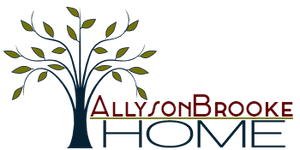 © Allyson Brooke Home All rights reserved.